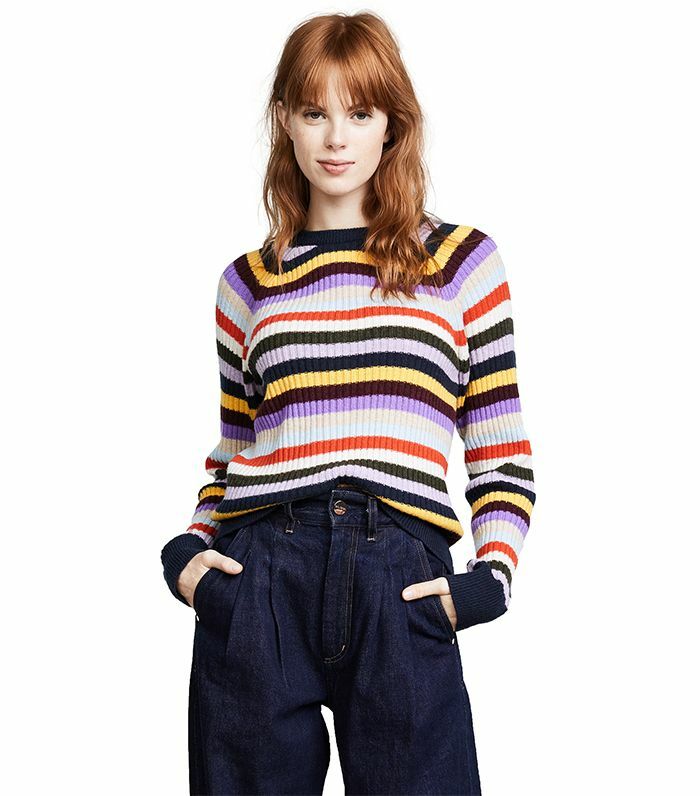 If there's one essential we're happy will never go out of style, it has to be the striped sweater. Whether you go the standard black-and-white route or opt for a colorful rainbow version, there's something about the staple that always feels perfectly classic and trendy, making it a closet must-have for everyone. With so many iterations to choose from, however, we know it can sometimes be hard to choose which one to buy, so as usual, we're here with our best-of picks of the piece—we promise you'll love them. Shop our roundup of the coolest striped sweaters for the season ahead, with something for every style type (from classic to ultra-trendy) and every budget. Available in sizes P to L.
Up next? Shop the best blogger picks of the season.